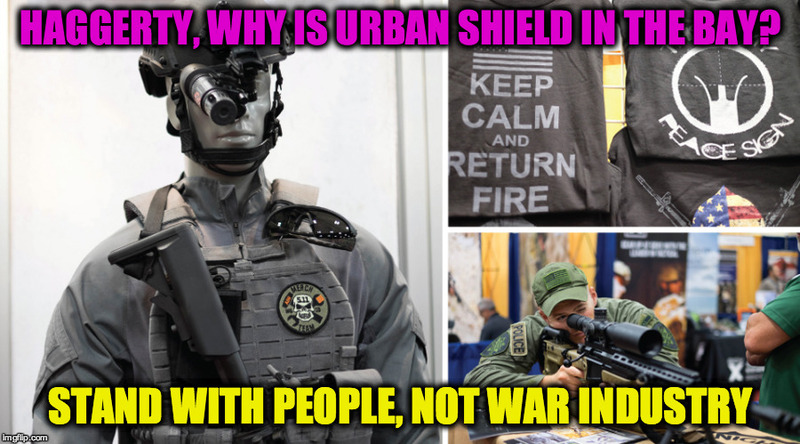 WHAT IS THE STOP URBAN SHIELD COALITION? 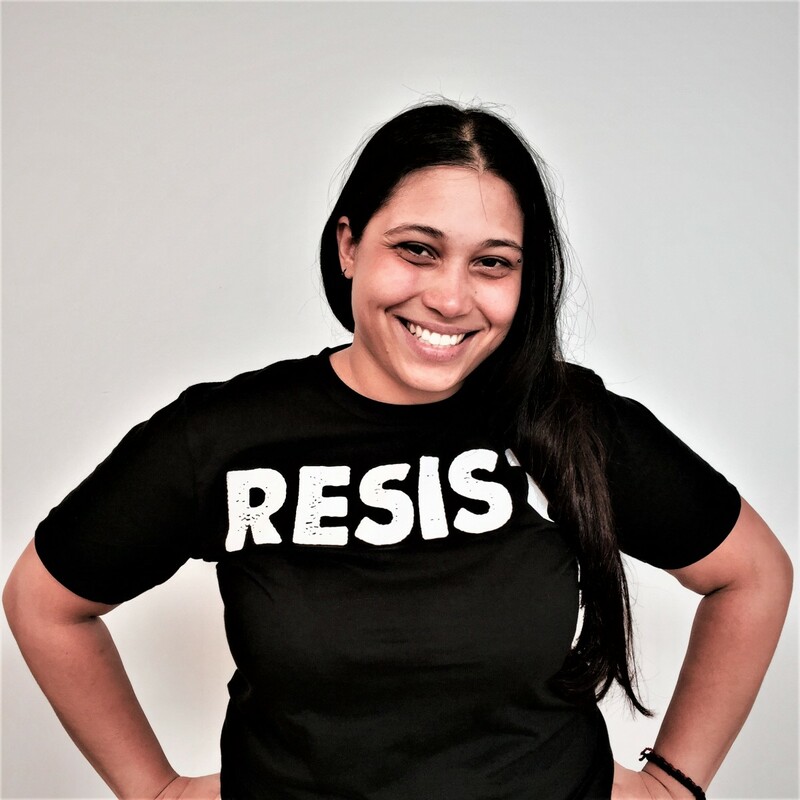 Stop Urban Shield is a broad coalition of grassroots community and social justice organizations primarily based in the Bay Area but with partnering community groups across the nation who have come together united against Urban Shield. Urban Shield, a SWAT team training and weapons expo that brings together local, regional, and international police-military units to collaborate on and profit from new forms of surveillance, state repression, and state violence. The Stop Urban Shield Coalition includes members from various race, faith, political and social backgrounds and successfully stopped the Urban Shield expo from being hosted in Oakland in 2014. Our goal is to end Urban Shield and hold accountable our cities and counties from their corroboration in increased racialized repression and violence. For updates on local organizing in the Stop Urban Shield coalition, check out stopurbanshield.org! 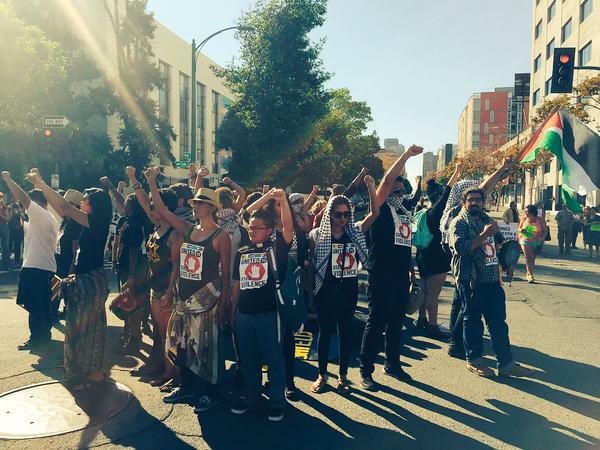 Last year, Stop Urban Shield and broader community organizations and members built upon Oakland’s rich history of organizing against policing and for self-determination by forcing the City of Oakland to stop hosting Urban Shield. This was a hugely significant victory for our city and demonstrated the power of our collective grassroots organizing. But the fight is not over. Urban Shield mistakenly thinks that they can evade accountability to our communities by moving the convergence to the City of Pleasanton, even though the City of Oakland, along with cities all across the Bay Area, California and the U.S. will still be fully participating. Let's show them they're wrong! As communities around the country rise up demanding an end to racist police violence, it is now more important than ever to build upon our victories and work toward shutting down Urban Shield entirely. Sign on to our demands here. Like the Stop Urban Shield Facebook page. Pass this infosheet around your community (Spanish & English available). Check these Stop Urban Shield cartoons by Ethan Heitner here. Let's fight for community resilience & end state repression everywhere!